In this tutorial we are going to show you how to create a suspended text effect in photoshop.The tutorial will show you how to create a path using pen tool and how to select and edit a particular item from the document. 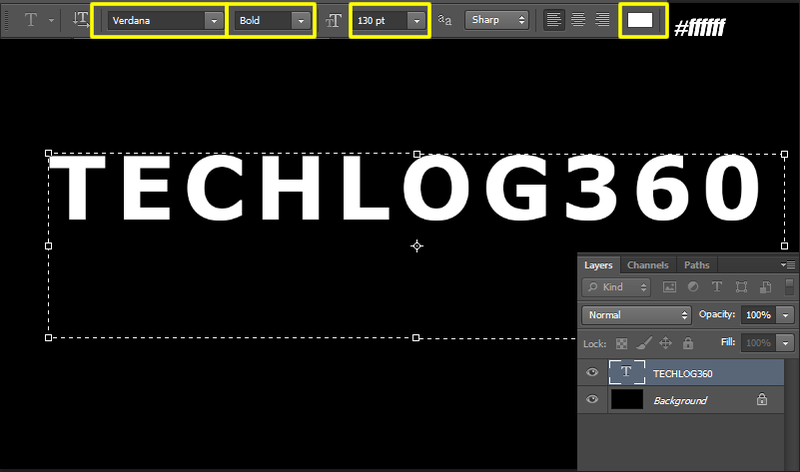 • Create a new document “(1000 X 700)px” with black background color. 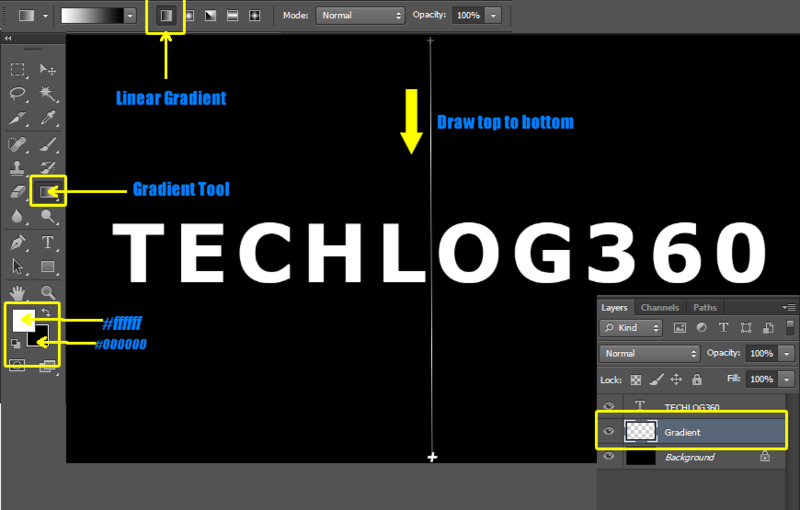 • Now create a new layer above “Background” and name it as “Gradient“. 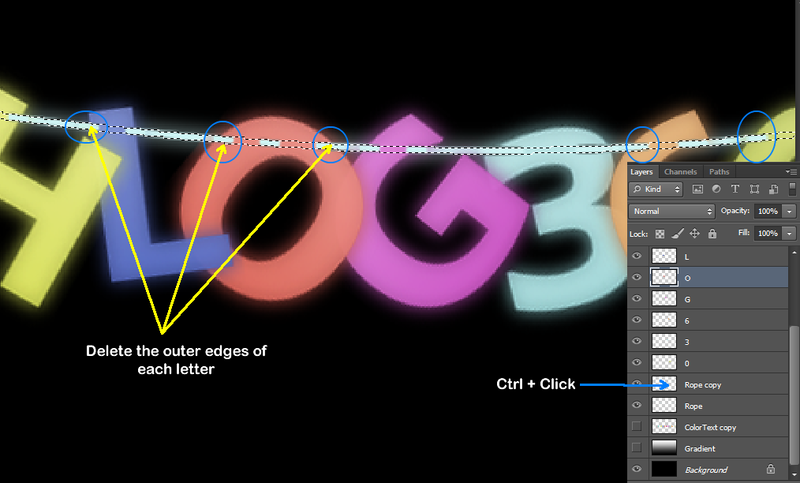 • “Ctrl + Click” on text layer thumbnail.Now you can see a selection around your letters. • And Hide Text layer and “Gradient” layer. 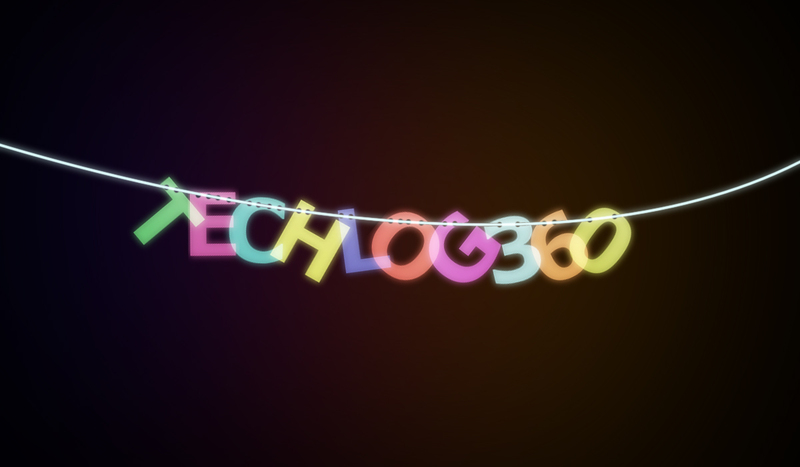 Now you can see gradient is applied on your text only. Now we are going to select each letters of our text. • Focus on “TextGrad” layer. • “Ctrl + Click” on “TextGrad” layer thumbnail. 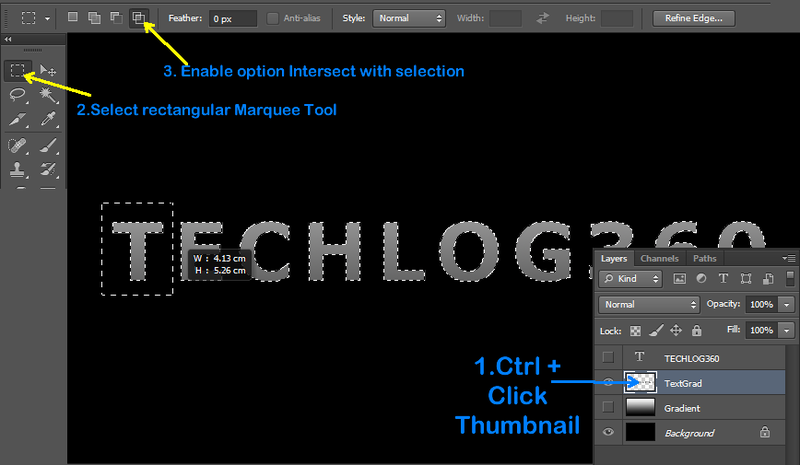 • Then select “Rectangular Marquee Tool” and enable option “Intersect With Selection“. • And select your first letter. Now you can see only you first letter is selected. 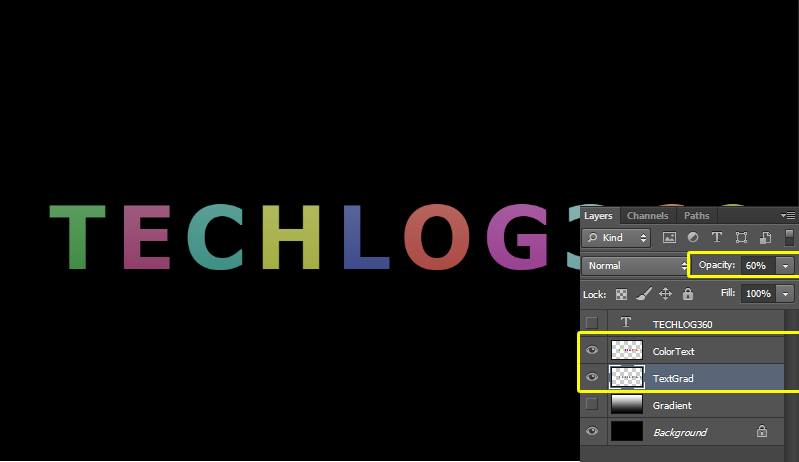 • Create a new layer above “TextGrad” and name it as “ColorText“. 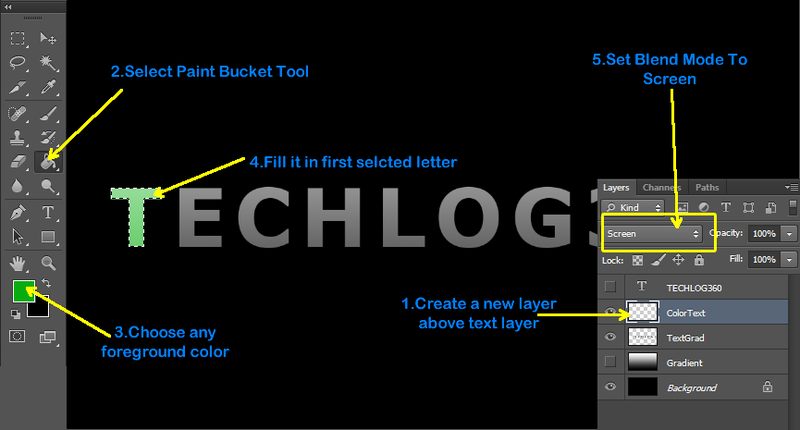 • Now focus on “ColorText” layer and select any color and using “Paint Bucket Tool” fill our first selected text. • Set Blend Mode to “Screen“. 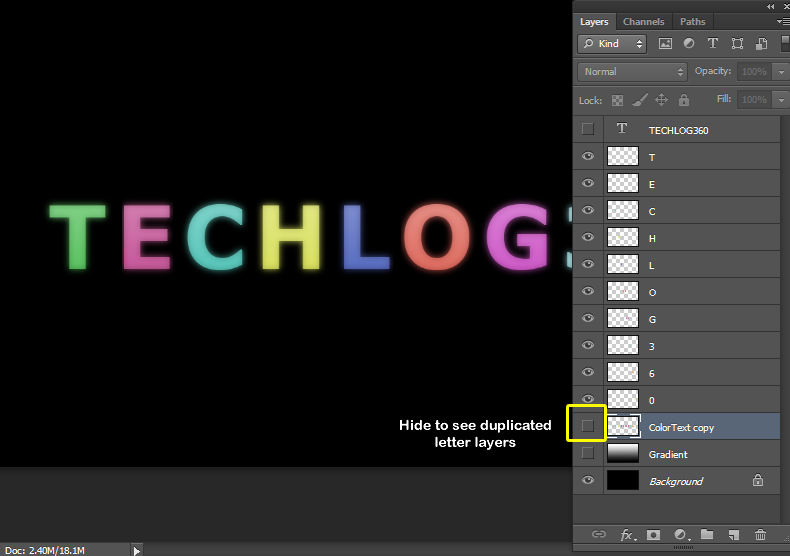 Now duplicate “TextGrad” and “ColorText” layers. 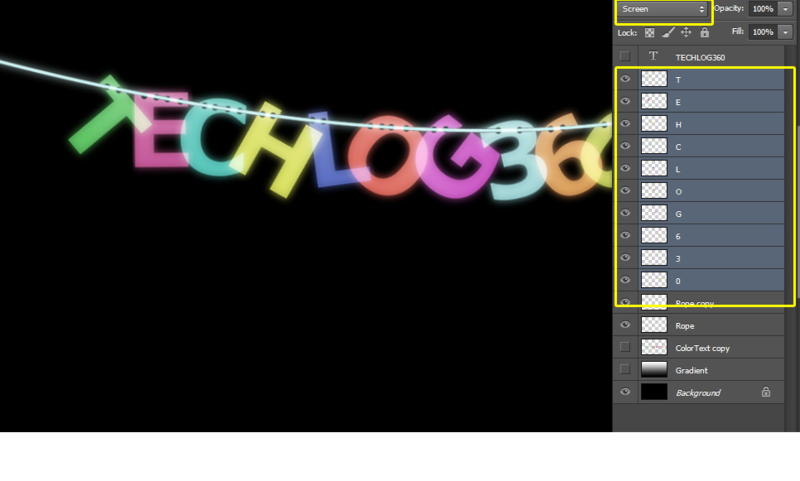 • First focus on original “TextGrad” layer and go to “Filter → Blur → Gaussian Blur” and set “Radius:5px“. • Do the same effect to original “ColorText” layer too. 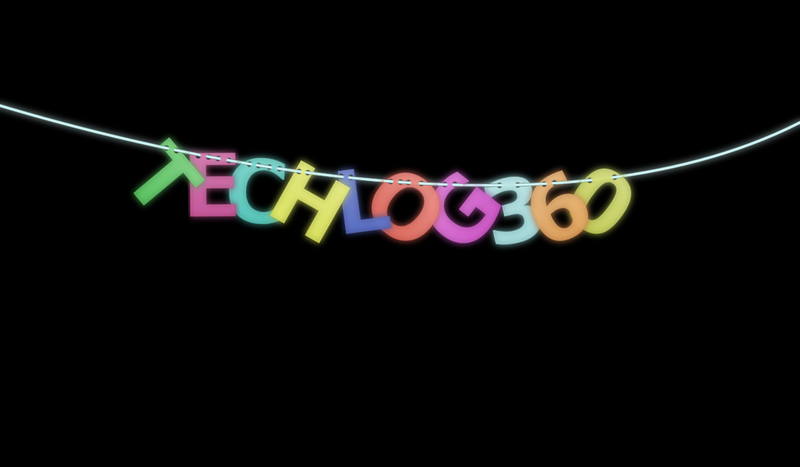 Now merge all those four layers [“ColorText,ColorText Copy,TextGrad Copy,TextGrad”]. • Now focus on your merged text layer.“Ctrl + Click” its thumbnail and do the same process with “Rectangular Marquee Tool” that we done in Step 4.And select your first letter. 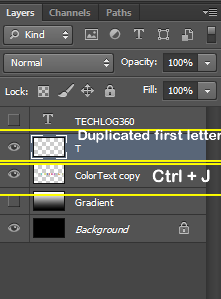 • After selection press “Ctrl + J” to duplicate our selected letter to new layer. • Repeat the same process for each letter. Don’t forget to select the “ColorText Copy” layer after you press “Ctrl + J” each time. • And when you done you will get duplicate copy of all letters in separate layer. 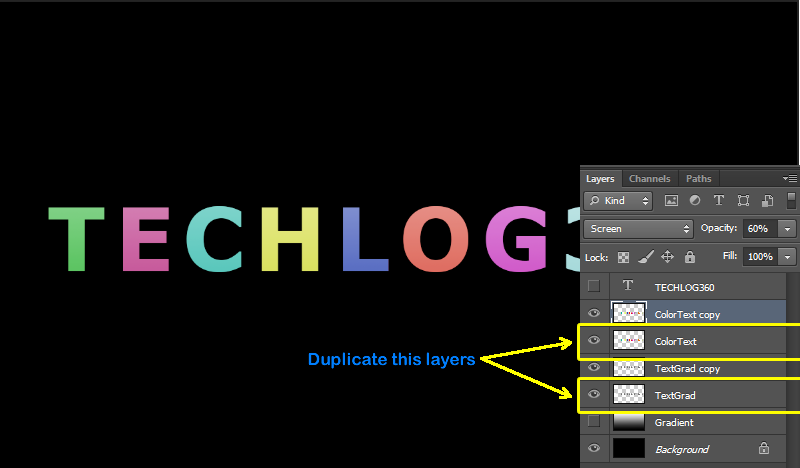 • Hide “ColorText Copy” layer to make duplicated layers visible. 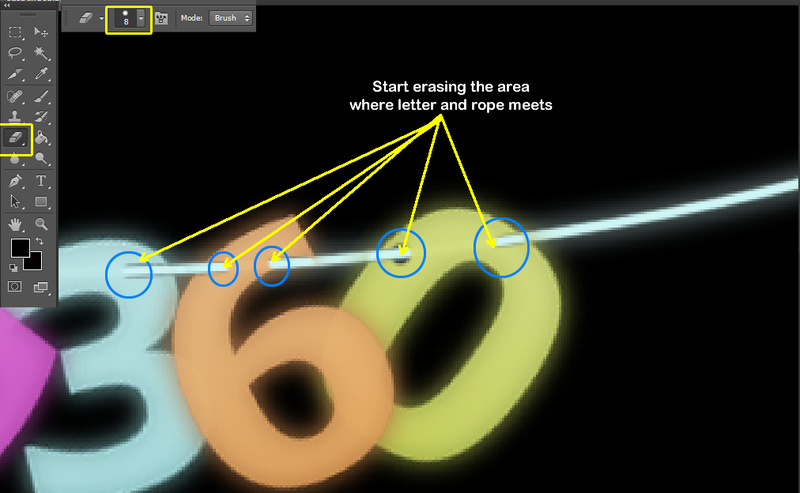 • Now create a new layer just above the “ColorText Copy“.And name it as “Rope“. • Select “Pen Tool” and enable Tool Mode to “Path” and draw a path as shown below. • After that again select “Pen Tool” and Right Click on the Path you created and choose “Stroke Path“. • And in small box set “Tool:Brush“. • And then hit “Enter” to Hide Path. • Press “Ctrl + J” to duplicate “Rope” layer. 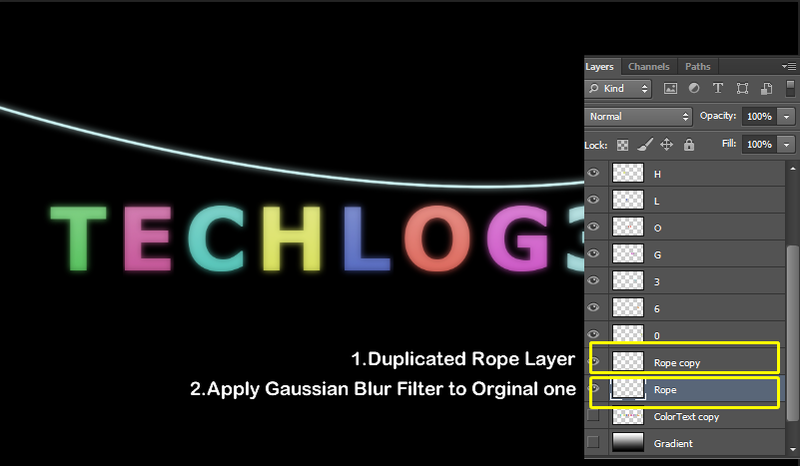 • Focus on original “Rope” layer and apply “Gaussian Blur” filter again or Press “Ctrl + F“. Arrange each letters on the Rope so that it looks like hanging. • Now first “Ctrl + Click” on “Rope Copy” layer thumbnail to select rope. • And then select each letter layer. • Again select “Eraser Tool“.This time set its size as “8px” and choose hard round brush preset. • And then select each letters and start erase parts where the Rope and the Letter meet. 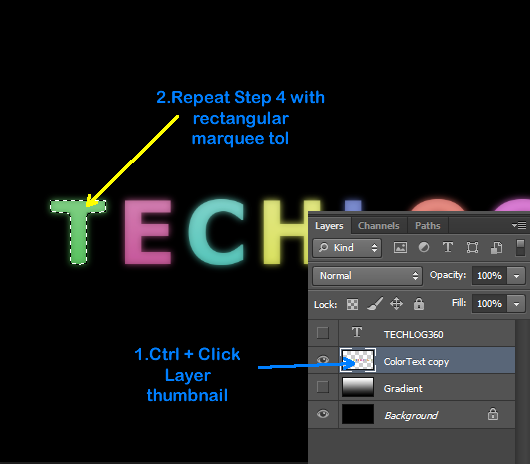 Now “Ctrl + Select” each letter layers and change its Blend Mode to “Screen“. 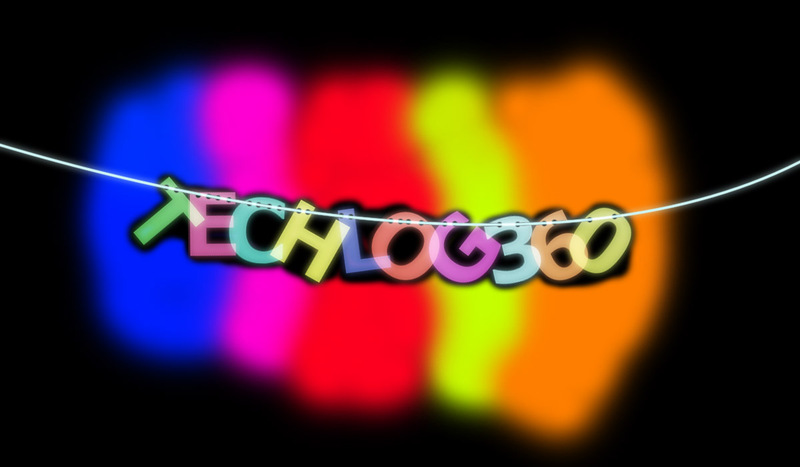 Now we are going to give some background effects. 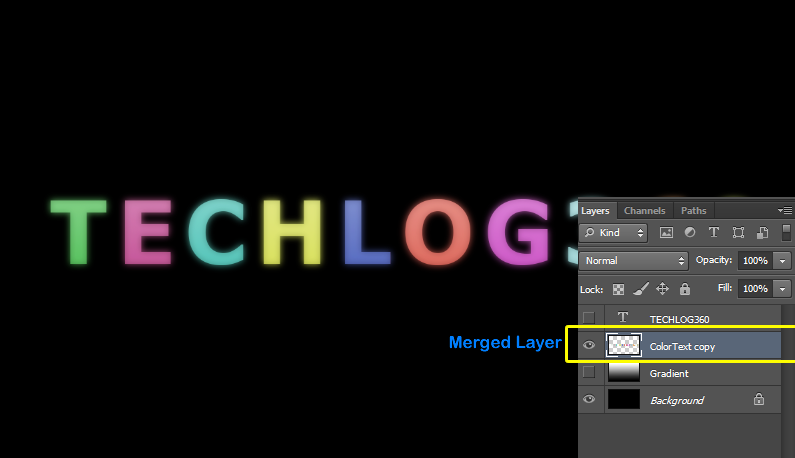 • create a new layer above “Background” layer and name it as “NewBg“. 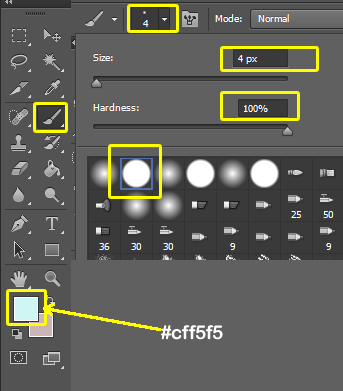 • Select “Brush Tool” with “Soft Round” Brush Preset and brush some random spots on your canvas.